You wanted a reference. I gave you one. The ancient Hebrews did not bring in a bi-weekly paycheck. Theirs was an agricultural society. Th efarmers and herdsmen you mean. Obviously traders, craftsmen, cobblers, and tanners, were present and they were not included in it. ... There is absolutely nothing you could possibly tell me to convince me that the law ... is not longer to be obeyed. Even after all that Jesus did? We have been given the entire New Testament and yet you refuse to be free of the Law? I believe you are quite right. The tithe is not enforceable or relevant today. However, the bible also says God loves a cheerful giver. That is what we are to be: cheerful (and generous, if that is an option) givers. Not unhappy and bankrupt tithers. 2 Cor 9:7 Each man should give what he has decided in his heart to give, not reluctantly or under compulsion, for God loves a cheerful giver. I would expect that as Paul travelled around preaching he required some money for expenses, but people also gave him time, lodgings, and food to help with. That means if you are struggling to make ends meet and have to choose between paying the mortgage & credit card or making a tithe, you should probably pay the mortgage & credit card first. There are plenty of other ways to give: volunteer your time, help your neighbor, even taking care of the kids, helping at school, etc. On the other hand if the bills are paid and you have a financially stable life, you should be giving money to help the needy (and volunteering time and helping in other ways too). This idea of 10% monetary giving is really just a "status" mark, when in reality we should always be helping and giving in every situation we encounter (which is not necessarily money related). For some people, giving 10% of their income is just not an option if they want to live. For others, they should be giving much more. Legoman, I think you've finally given voice to what I've thought for so very long . So I'm quite skeptical of the whole tithing scenario. But it's heresy within my former denomination to say that you give what you can if you can. I see. So the Ten Commandments are obsolete, too, I guess? Not when you're attempting to prove yourself worthy and become a god. The Ten Commandments will be used against you because you don't even follow J.Smith own revelation "be perfect"....not what you're doing and trying to "become it". I wish more churches/denominations worked like that. I, personally, don't believe the scriptures support full-time paid ministers/pastors. I do because God said called workers deserve their wages. "the worker deserves his wages." How true, it's very sad. Jesus said, "If ye keep my commandments, ye shall abide in my love; even as I have kept my Father's commandments, and abide in his love." That's all I'm doing. I don't find it to be sad at all. I see it as a real privilege. Last edited by Katzpur; 05-14-2010 at 10:41 PM.. Honestly, twin.spin, you do such a miserable job of trying to be an authority on something you really know very little about. You really shouldn't waste your time. How about you worry about your life and I worry about mine? Last edited by Katzpur; 05-14-2010 at 10:45 PM.. If we're talking about LDS then only the few at the very top get wealthy while the rest of the clergy do work for free. Why would you make a statement like that? You clearly dislike my church, but does that give you license to fabricate any kind of nonsense that suits your fancy? 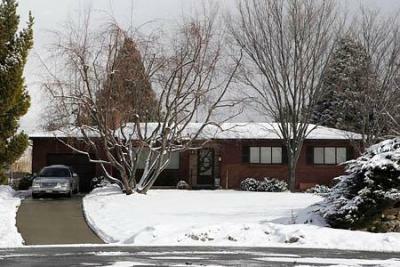 The picture below is the home of the current President of the Church of Jesus Christ of Latter-day Saints. Does it look like the home of a wealthy man to you? In this spiritual warfare, I never, never under estimate my adversary...nor should you. Finally, brethren, farewell. Be perfect, ..... and the God of love and peace shall be with you. Not perfect? Why not? Don't you want the God of love and peace that shall be with you?